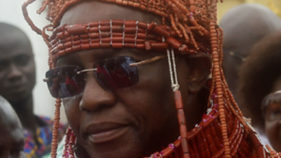 Your royal highness, please curse corrupt leaders! 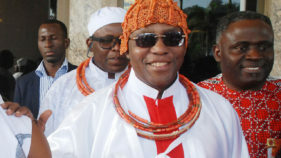 The Oba of Benin Omo N’Oba N’Edo Uku Akpolokpolo Oba Ewuare II, has placed curse on perpetrators of human trafficking and their collaborators including native doctors and priests who administer oath of secrecy on victims. 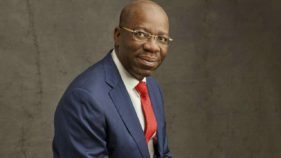 The management of Nigerian Bottling Company Ltd (NBC) has been commended for its community investment and adhering to best practices in the running and operation of its business. 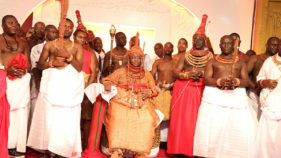 The Benin monarch, Oba Ewuare II, has charged Nigerians abroad to be supportive to the Nigerian government to enhance rapid development in the country.He gave the charge at the weekend when he received members of the Edo in Diaspora Organisation Worldwide (EDOW) at his palace in Benin City. 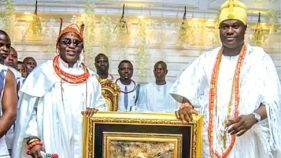 On November 25, the Oba of Benin, Oba Ewuare II, Ogigigan, visited the Sultan of Sokoto, Alhaji Sa’ad Abubakar in his palace in Sokoto, a palace built in 1804.